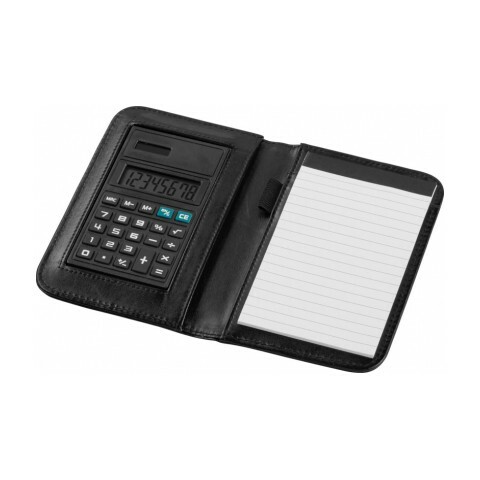 Keep your calculations together with one of our promotional Calculator Pads. Available in plenty of different colours, our custom printed Smarti Calculator Notebook is one of the best from this category if you’re trying to tie it into your brand colours. Designed with a hardwearing PU cover and an A6 size, it’s perfect for use on the go and comes with a pen loop for jotting down your notes. 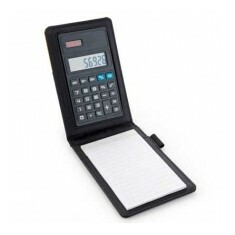 Customised calculator pads allow your customers to take notes and work out sums conveniently. 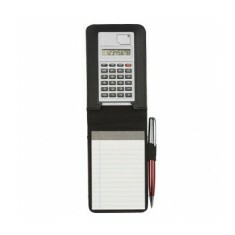 These personalised products come in handy when at a conference or at events and make sure that your customers are equipped for any mathematical problems that may arise throughout the day. Order a sample and make sure you are happy with the quality for yourself by popping one into your basket and clicking on the ‘Sample’ button! 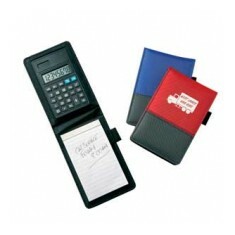 A great product for your conference team when they are on the move! 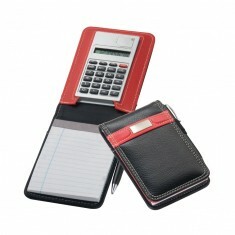 With a har..
A6 jotter pad and calculator with pen loop and 25-sheet pad included.